xoxo, Jen: Grace-full: Mount Fang - stamped! Grace-full: Mount Fang - stamped! 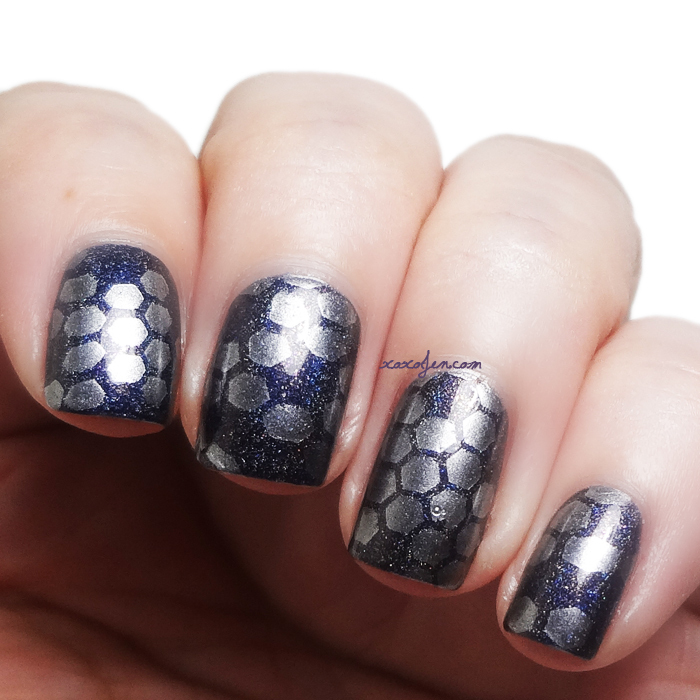 I was perusing through my stamping plates and spotted this cool hex design on Vivid Lacquer plate 02. So I stamped it using MDU silver over a perfectly charcoal Mount Fang from Grace-full. 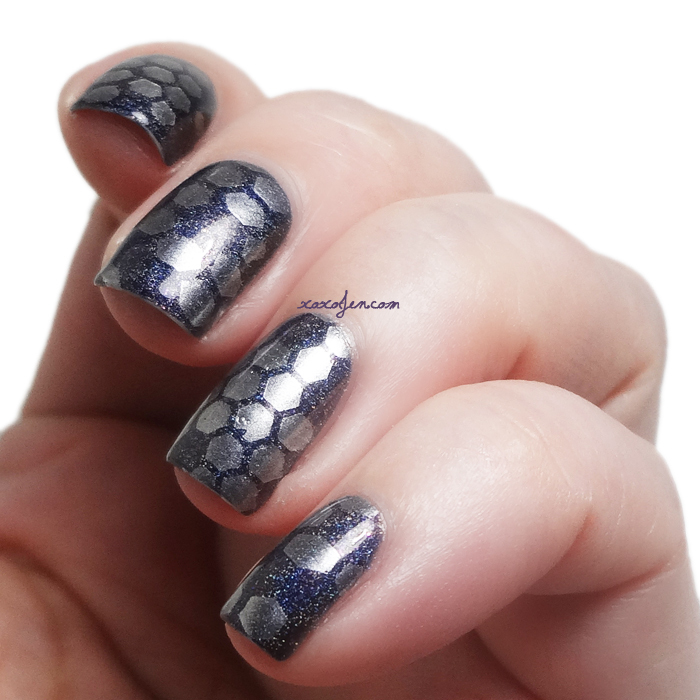 It looks like placed glitter on the nail, doesn't it? I have an affinity for geometric designs, they're edgy and fun! What do you think of geometric designs? Are they your favorites to stamp?